Notice the ref standing right there? I believe they should mark down at the spot of infraction, with 1:34 time on the clock and finish that game, which is as it should have been. 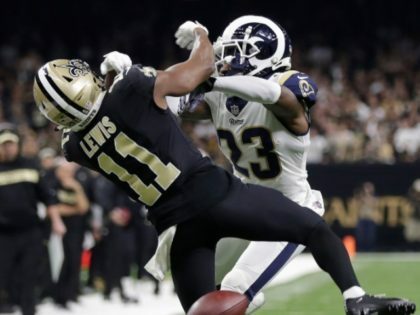 The Saints were cheated and the Rams' victory is forever tarnished.